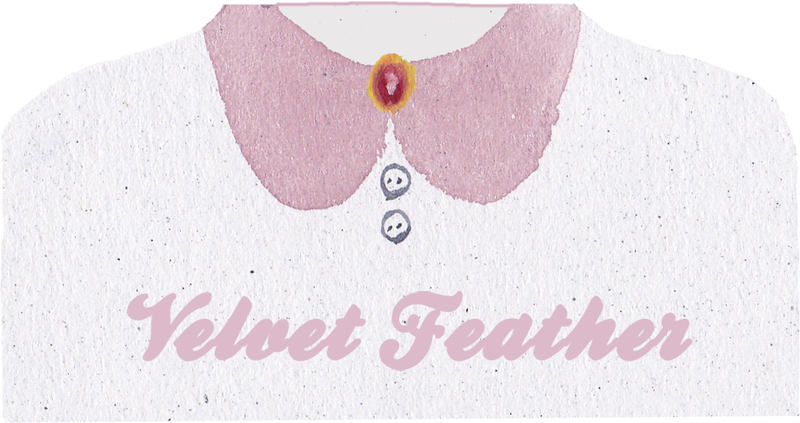 So here is my new Look Velvet Feather shop, I have just got round to adding new pieces to the shop, there is a great mix of hand made, vintage and thrifted finds. I am rather proud of it all. Each sale made will go towards my Velvet feather mobile shop Dream , you can read about it more here. I am working on new piece as we speak here are a few of my favorite pieces, hand selected by me I hope you like them. 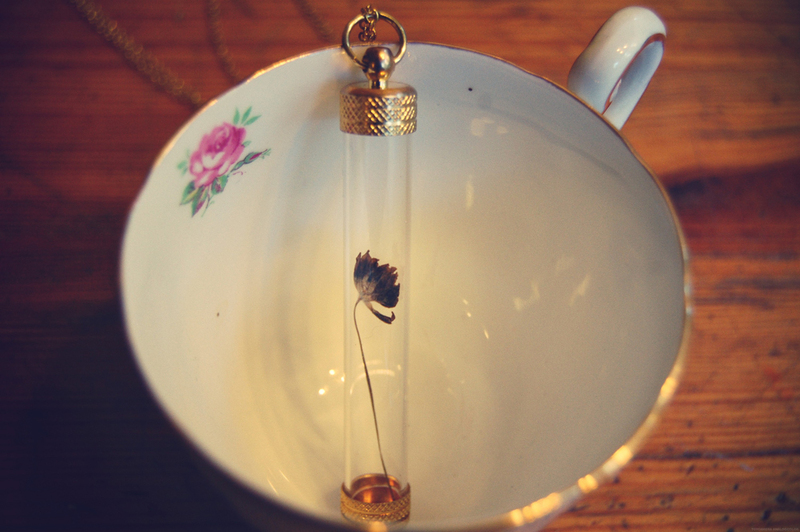 Little bottles : presses purple flower, Top Knot necklace, little bottles : seed necklace, Vintage floral Painted ring. I hope you like the new look Velvet feather, it would be great to know what you think? Next Post Give away WINNERS! 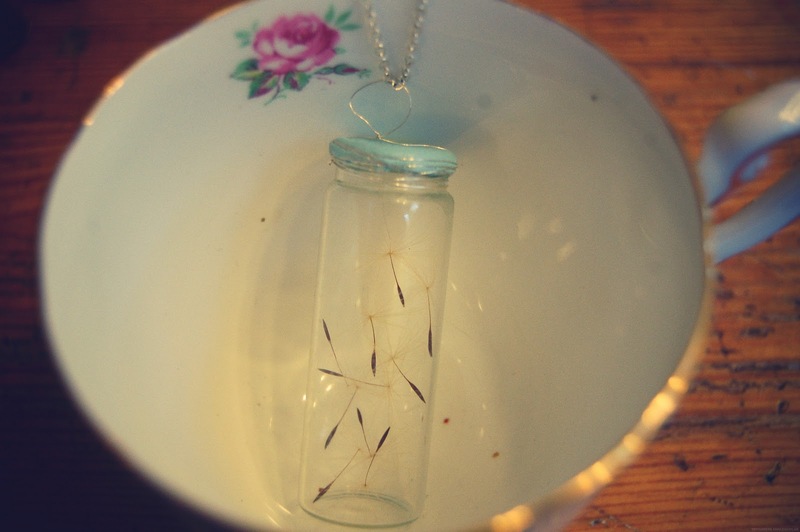 I LOVE that jarred dandelion seeds necklace! ella, your shop is amazing! 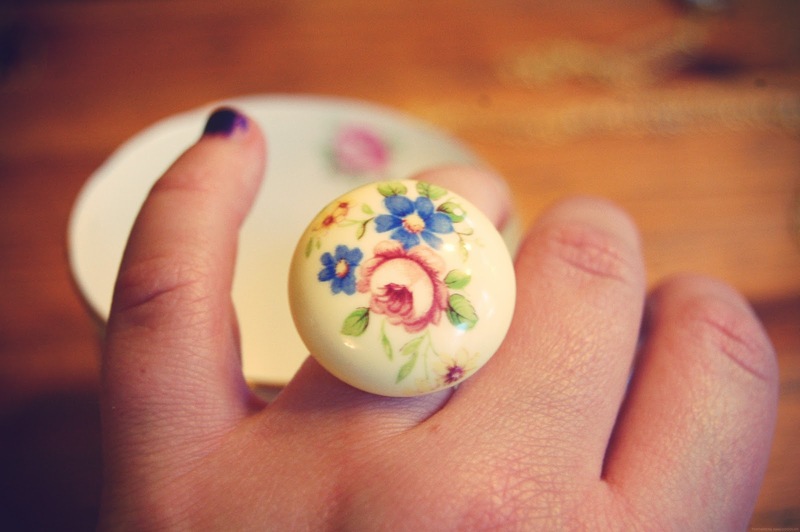 my friend effie will LOVE these, definitely ordering a couple for christmas. they're beautiful! it's all so beautiful! 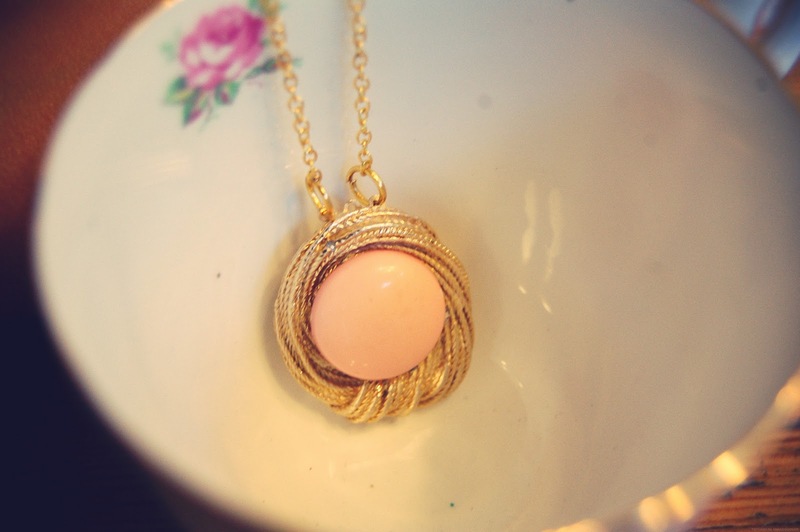 I especially love the dandelion seed necklace, so lovely!